Several books have been published on scaling in biology and its ramifications in the animal kingdom. However, none has specifically examined the multifaceted effects of how changes in human height create disproportionately larger changes in weight, surface area, strength and other physiological parameters. Yet, the impact of these nonlinear effects on individual humans as well as our world’s environment is enormous. Since increasing human body size has widespread ramifications, this book presents findings on the human species and its ecological niche. In biology, an ‘ecological niche’ refers to the role played by a species in its community and how the species interacts with its environment. 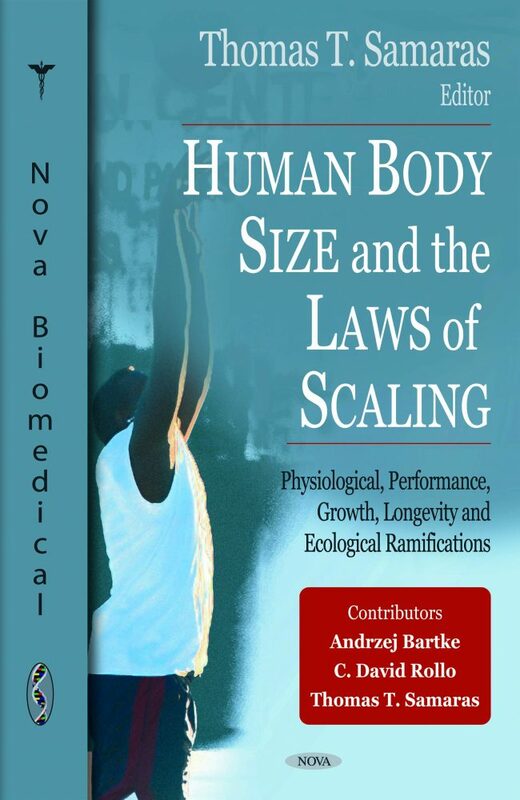 Thus, a few chapters provide an ecological overview of how increasing human body size relates to human evolution, fitness, health, survival and the environment. Individual chapters are available for $25 each by sending an email to novascience@earthlink.net. Nova will provide the chapter for your easy downloading or send it as an email attachment if you prefer.